The first feature is a private network, giving customers more control over Karma Go. New York, NY, June 29, 2016 - Karma, the startup making sure you can bring and share WiFi everywhere, launches Premium Features: a series of features that allow customers to gain more control over their Karma Go. The first feature, launching today, let's you add a private network to Karma Go. This gives customers the choice to share WiFi and connect to browser-less devices like Apple TV. Additional features like controlling how much you spend on data, will roll out in the coming months. Starting today, customers can purchase Premium Features. For the first month, they are free for customers on Pulse (monthly data) and $10 for customers on Refuel (pay as you go data). Following the first month, regular prices will be $5/month on Pulse and $15/month on Refuel. Karma surveyed their customers to find out which features they’d like added to the product. Of those who took the survey, 47% wanted to choose when they share their WiFi. Our customers have always had a strong influence on our roadmap and the survey results solidified a feature our engineers had already been playing around with. The private network gives customers the freedom to create their own network name (which can be done with emojis), instead of the three options generated on the open network. It also allows Karma Go to connect to browser-less devices like Apple TV and Dropcam. 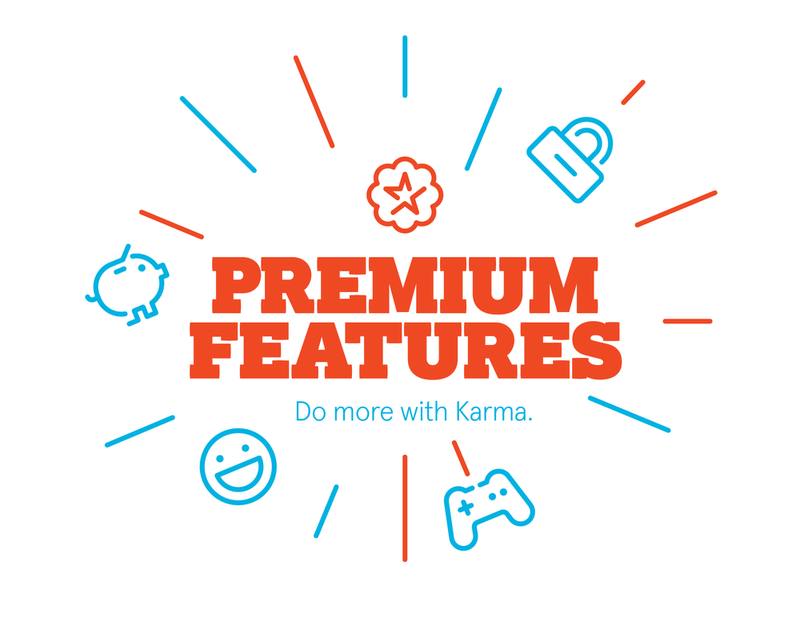 When customers purchase Premium Features, they can access the private network and toggle sharing on and off in Karma's mobile apps, available on both iOS and Android, providing more flexibility to getting online. If you’re at the airport, an open connection is great to receive free data from fellow travelers looking for a connection. On the contrary, if you’re away with friends, you can close the network and share the free data earned by handing over your password. It’s up to you. Our customers want choices. 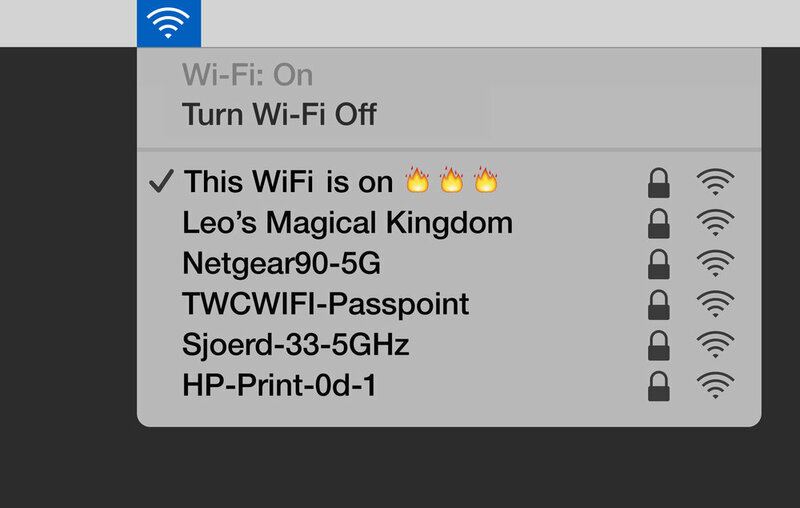 They want to connect their Go to a wireless printer or share data with friends or have some fun with their network name. Now they can do all of that. 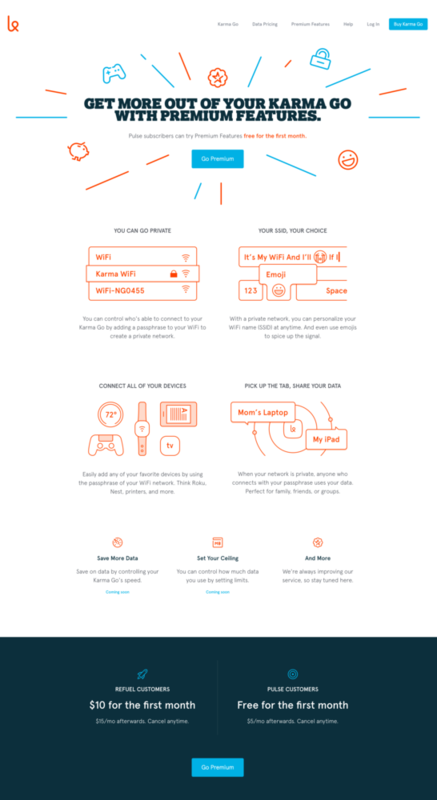 Karma launched in 2012 with a mission to make getting online as seamless as possible. The unique component of Karma Go is the ability to share your WiFi with the people around you, and earn free data as a reward. 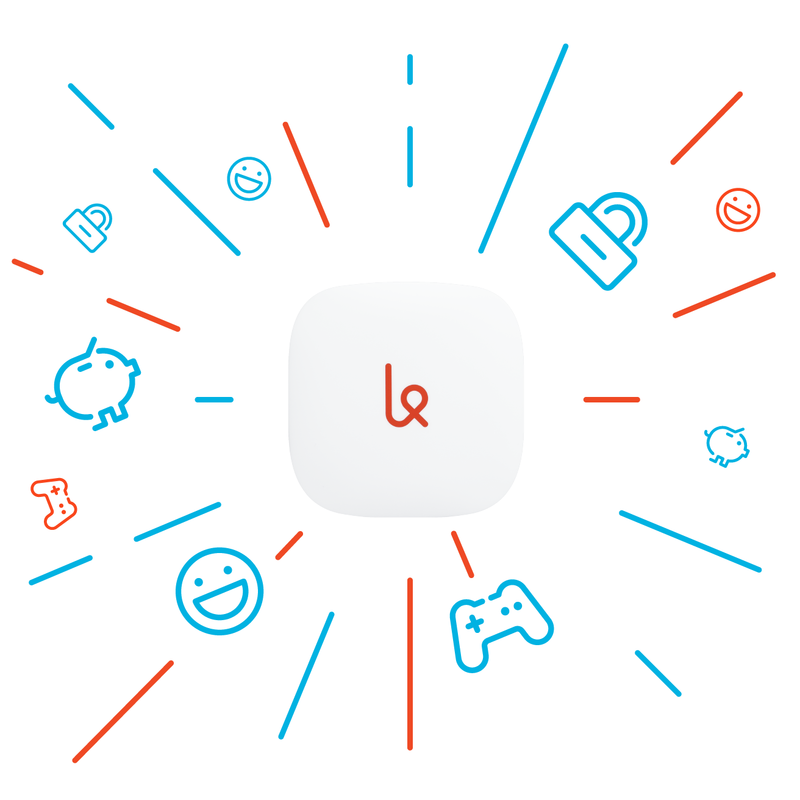 Today's launch keeps sharing at the forefront, but leaves the choice with the customer while allowing them to share data with friends and family, and connect their Karma Go to more devices. Karma was founded to create a future where internet access is ubiquitous, blurring the lines between internet at home, and internet elsewhere. We are devoted to making sure you never have to worry about getting online and created Future Facts of a Wireless World to communicate how that will happen in the next ten years. Karma launched its first generation pocket-sized WiFi in 2012 and its second generation, Karma Go, in September 2014. Karma Go offers nationwide coverage so you can bring WiFi with you everywhere. Karma Mobility, a leader in mobile internet technology, announces the acceptance of Bitcoin as a payment method beginning with the Karma Black shipments on January 15th. Karma Black, the first WiFi hotspot and Personal Security Appliance designed with cryptocurrency in mind. Karma Black is a Personal Security Appliance (PSA) that will encrypt and anonymize your online activity, protecting your identity from invasive tracking, unknown surveillance and sale of your private internet habits. Karma Mobility, the company that let’s you take WiFi everywhere at a lower cost than conventional WiFi providers, announced today that they are beginning a new “name your price” initiative for nationwide mobile data. Karma Mobility, a leader in mobile internet services, today announced a new product targeted at the parents of college-bound students.